With the rapid development of mobile devices and mobile services, mobile social networks are integrated into people’s daily lives, and people are also generating a large amount of data here. The research on this huge data source is very meaningful and necessary. User similarity in social networks is an important research field in social media data analysis. It also plays a very important role in the research of product recommendation and social network user relationship evolution. The similarity between users depends not only on the network topology, but also on the degree of dependence between users. In order to achieve the similarity measure between users in social network data, this paper proposes a basis based on topology and probabilistic reasoning. The user similarity measurement method of social network is adopted, and Bayesian network is used as the framework of this uncertain knowledge discovery. A user similarity discovery method based on Bayesian network is proposed. Pearl, J. (1988) Probabilistic Reasoning in Intelligent Systems: Networks of Plausible Inference. Morgan Kaufmann. Russell, S.J. and Norvig, P. (2010) Artificial Intelligence: A Modern Approach. Applied Mechanics & Materials, 263, 2829-2833. 方滨兴, 贾焰, 韩毅. 社交网络分析核心科学问题, 研究现状及未来展望[J]. 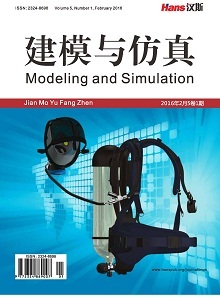 中国科学院院刊, 2015(2): 187-199. 徐娟. 基于贝叶斯网的社交网络用户相似性发现[D]: [硕士学位论文]. 昆明: 云南大学, 2015. 李青. 基于MapReduce的广告点击率预测系统设计与实现[D]: [硕士学位论文]. 昆明: 云南大学, 2016. 郭俊. 大规模复杂网络社区发现与社区进化分析技术研究[D]: [硕士学位论文]. 成都: 西南交通大学, 2017. 方志鹏. 基于贝叶斯网的新广告点击率预测[D]: [硕士学位论文]. 昆明: 云南大学, 2015. 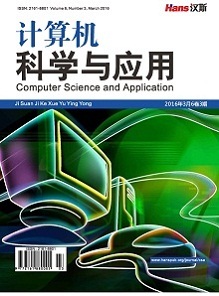 Yan, J., Liu, N., Wang, G., et al. (2009) How Much Can Behavioral Targeting Help Online Advertising? Proceed-ings of the 18th International Conference on World Wide Web, Madrid, 20-24 April 2009, 261-270. 程学旗. 信息网络拓扑结构与内容相关性研究[D]: [博士学位论文]. 北京: 中国科学院研究生院(计算技术研究所), 2006. 胡笑旋, 杨善林, 马溪骏. 面向复杂问题的贝叶斯网建模方法[J]. 系统仿真学报, 2006, 18(11): 3242-3246. 王双成. 贝叶斯网络学习、推理与应用[M]. 上海: 立信会计出版社, 2010.